Based on the Oscar-winning film starring Richard Gere, An Officer and a Gentleman, the musical will sweep audiences off their feet when it heads to Manchester’s Opera House on 13th August. Including the iconic hit song from the movie ‘Up Where We Belong’ along with 80’s classic after 80’s including ‘Girls Just Want to Have Fun’, ‘Livin’ On A Prayer’, ‘Heart of Glass’, ‘Material Girl’, and ‘The Final Countdown’, An Officer and a Gentleman promises to be a thrilling night at the theatre as we follow the rough and ready Zack Mayo (Jonny Fines) as he learns the hard way the importance of how to be both an Officer and a Gentleman. Starring Olivier Award nominee Emma Williams, with direction by Nikolai Foster (Artistic Director Curve, Annie, Calamity Jane), An Officer and A Gentleman is not to be missed! We had the pleasure of chatting to Douglas Day Stewart, the much celebrated co-writer of the book and original screenplay to hear a little more about what audiences can expect when the show arrives at Manchester’s Opera House on 13th August. Opening Night: Did you ever think back in 1982 you’d be revisiting the show 36 years later and presenting it as a musical? Douglas Day Stewart: Absolutely not, I had no idea what an amazing journey writing this story would be for me, it’s been a blessing that just keeps on giving over the decades, it just gets better and better and better. ON: We understand there are many autobiographical elements within the story, how do you decide what to put in and what to hold back? DDS: I think my dream was to capture a moment in time that I survived. In 13 weeks it was a crucible of change for me. I went from being a boy to being a man. I went through all the experiences that I put into this and I tried to be true to everything. Of course in writing a story you take certain literary licences, I was not the rough edged intolerable guy that my character was but I had known that character being a naval officer. I had met people who were very much like Zack Mayo so I combined my own experiences with my knowledge of the rougher elements. ON: Richard Gere was so iconic as Zack Mayo how was it working with him? DDS: It was wonderful; it was the perfect piece of casting. Initially I thought that John Travolta would have been my choice for Zack having worked with him on the television film The Boy in the Plastic Bubble and at the last moment he decided it wasn’t for him which was I think good for everyone because Richard was better than anyone could have hoped for….until now of course when we have a new Zack Mayo in the hugely talented Jonny Fines. The director Nikolai Foster knew Jonny so also knew what a gifted performer he was, when I see Jonny performing on stage I just can’t imagine anyone else in that role. ON: How important was it for you to have Nikolai Foster as part of your creative team? DDS: It was the key to the dream, getting Nikolai on board. He and I saw this story being converted to a stage musical in the exact same way. We both had the passion and vision to tell a simple working class story, something really true, genuine and honest. 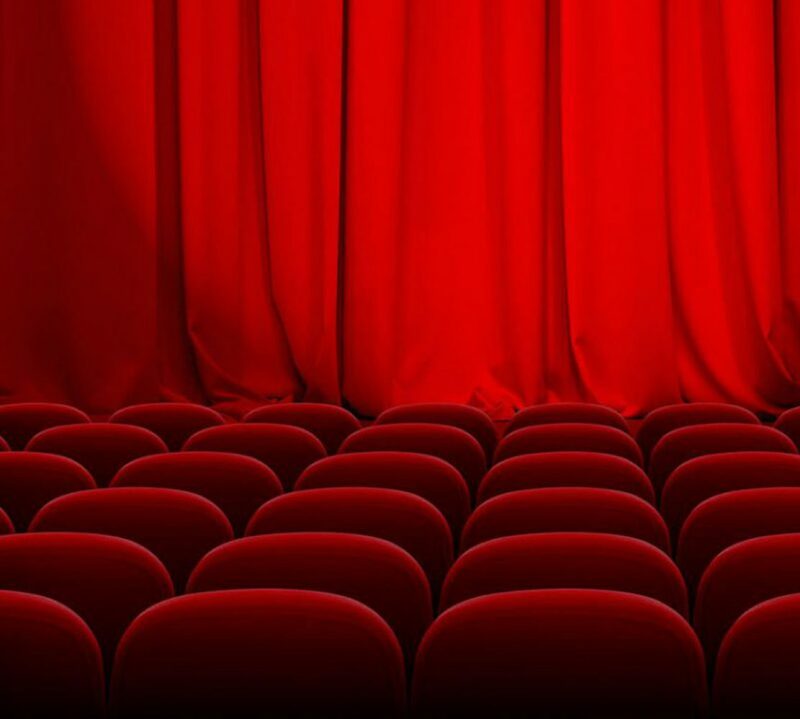 ON: Will we see many changes in the musical or have you stayed true to the original film? DDS: We’re very truthful to the film. It has a wonderful history and we didn’t want to violate that for the audience but at the same time we wanted to appeal to a new audience, the story is so enduring though that I feel new audiences for example my daughter and her millennial friends will embrace it just as much as my generation did. What I think is the secret to the success of the film and will be to the musical is that the women and men love it equally. I’m seeing standing ovations every night and men in the audience are as emotionally caught up in the story as the women in the audience which is a very rare thing. It makes for a great date experience. It was written with a sense of honesty and also for men and women alike. ON: The songs chosen really revisit the sounds of the times how did you go about choosing which to include? DDS: Well we of course had to have the iconic Up Where We Belong then everything else is really a building block up to that song and that moment. Every single song we picked is a song from the 80’s, a song that I personally love and that audiences also seem to really love, the soundtrack really is amazing. Nikolai must take credit too for picking many of the songs we ended up including, he had a real sense of what would work within the material. I pushed him to include one song that was not on anyone’s list but had been suggested by co-author Sharleen Cooper Cohen who did a lot of work on this project, that song was It’s A Man’s, Man’s Man’s World. The idea behind that was to bring out the women’s side of the story even more than in the original film. You’ll see in the show the women’s story is equally as important as the men going through their military training. It was important to do this in a way which felt authentic and empowering. ON: How does it feel to have created something so iconic? DDS: It’s so gratifying, I can’t tell you the number of times people have come up to me and said they’d asked their wife to marry them after watching the movie, people have shown me pictures from weddings where they were married wearing the officers suits, they’ve danced to Up Where We Belong at their weddings it’s really incredible. We hit an amazing note with the movie that I really hope we achieve with the musical too; people saw the movie and believed in love again. It’s absolutely time to start believing in love again. Standing ovations every night is more than I could ever have wished for and I hear Manchester audiences as some of the best! You can catch An Officer and a Gentleman at Manchester Opera House from Monday 13th August until Saturday 18th tickets available here.